I agree it was great there was an event close enough that I could go to it. Someone brought water to you while waiting outside? While waiting to get in I never had any offered to me nor saw anyone get any offered to them. I guess these events are all about being in the right place at the right time. 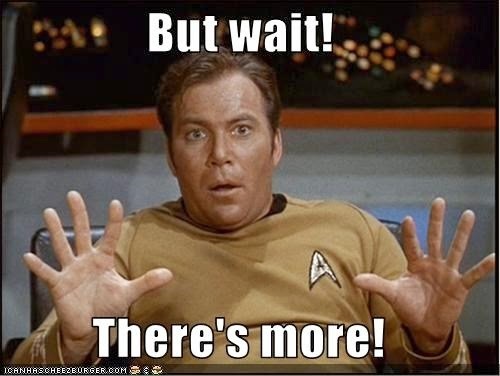 I now realize that my biggest mistake was having the courtesy to wait for my tier to be called for the Sherman ride. The way to go is to act like an entitled child. We should have just gotten in line when we got there. When we found out the tier system wasn't being used we got in line right away. That was the start of four hours of standing and waiting while the free entry's with their bulging bags of eBay items got their rides first. While waiting for our tier to be called we had walked around a bit and saw the food and got something to drink. Had we stopped to eat we never would have gotten on the Sherman. That was my choice of what I was going to try to get from the event. I can game on a computer at home, that wasn't why I went to the event. Yay the porta-pottys never had a line. That is good. But when you are standing in a line sweating out all of the fluids you take in there isn't a lot of need to use the restroom. The raffle doesn't mean much when you have absolutely no way of knowing what the winning numbers are. Same as getting involved with the bingo. I still have absolutely no idea what the "Dunkirk Experience" was. Yup I can go on. I don't go to a lot of events and this one would have made my summer. There were people there that didn't think of this as anything more than another roller coaster ride. Wargaming in the future I'd suggest two lines at the entrance and two lines at the tank ride. One line for the people holding "VIP" tickets and one line for the free and unregistered guests. "VIP" tickets just meant you had to pay to get less than and treated worse than the non-gaming free beer drinking crowd. That was really a kick in the nuts. A nice PA system would have made notification of changes and general announcements easier. Perhaps a "Battle Tour" bus to haul gear and staff. A PA system could have had a large impact on the event if used properly. We happened to see the first car crush because my wife saw a bunch of people gathering in the area. We went to see what was going on and watched it right before we got in the Sherman line. The people announcing stuff with the hand carry loudspeakers would start talking in one direction and turn so if you were any distance away you only caught part of it if you could even hear it. They could have used a decent PA to call the tiers for rides. People could have done other things while waiting for their tier to be called. Having well over 100 people standing and waiting while they could be doing something else is just plain stupid. 99 people is 33 rides times 6.5 minutes with loading and unloading means some people will spend over 3.5 hours standing there. Hey it's great the effort was made to set up so many things to see and do. It's a major fail to have people commit the entire event to doing one part of it. Shibadogdog asked back in June if they would put out a schedule but they never did. At least then people would have known what times the car crushings would be, when the raffle numbers would get called, etc. The event was just look around and hope you were in the right place at the right time for anything. If they had a separate line for the "VIP" ticket holders they could have started making the custom swag as soon as people started arriving. As it was they didn't even start on that until after we were inside and signing waivers. That wasn't until after 6 P.M.
My son and I waited in line a little over an hour to get in after arriving at 4:15. Later we waited almost 2 hrs to ride the Easy 8, but man was the smile on my son's face the whole ride worth it! Never got our personalized swag, though. A lady from WG said they would send a link through Eventbrite to give our shipping address but it hasn't come yet. Any Idea when/if this stuff will be sent out? No contact really wondering if I will ever see any of it. I got an email a week ago from them through eventbrite saying to fill out some shipping information through a link in the email it's been about 6 days since I last received an email from them best to check for that email and click on the link for it I would imagine that there would be a cutoff of sorts for those who don't fill out the info but nothing is concrete on when the items will ship as far as I know. Talked to a t-shirt printer at the event actually he said it usually takes a good ten minutes to make a shirt and for the bad about 5 minutes a non event person he did it for a living in a prior job. I can only imagine that they weren't expecting such a large turnout and thus were overwhelmed. I was one of those who was in line for three hours so I am expecting to get that merch at the very least since I paid for VIP let's see what happens on Monday though through email I mean. Edited by landedkiller, Jul 23 2017 - 06:40. I am still waiting to hear anything. I never received the email through Eventbrite, though have checked multiple times. I sent in a ticket with support last Wed when we got back from vacation but no reply so far. Come on WG, my son and I both paid the VIP tickets, we would like our shirts and bags! Very weird indeed I guess you have to go to the event link itself on eventbrite and contact them that is what support had me do anyway. It's laziness not to respond to a support ticket after this long. I am getting anxious myself considering it's been a week with no response. If I was Wg I would have let vip's get a free tier 8 premium of their choices and an apology of the delay and the long lines that we had to wait in. Wargaming is reading this thread I am sure and just not responding to it for some reason. 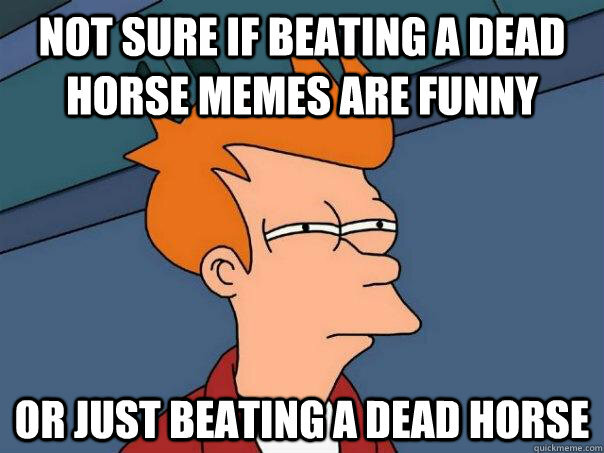 Edited by landedkiller, Jul 26 2017 - 04:54. They must have read this because an hour after posting I got a reply from support with a link to send my shipping address. Hope there is a tier 8 code for my son and I with our swag. Multiple people were saying that night that they were told we would get one for all problems we all encountered, but not gonna hold my breath! Me and Myrenous went to the event have a blast would do it all over agian! Check your e-mail. 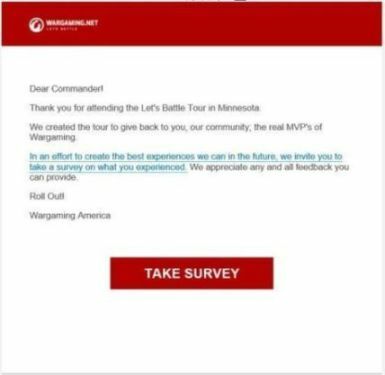 This survey should have come to the e-mail you put on the form you filled out when you bought your "VIP" ticket. I don't know if the free ticket holders got this survey. But they probably did since they got treated better than people that paid. This will come from Wargaming.net. Very ignorant indeed and greedy Wg that is. They stalled the whole time as well when waiting in that line. Did a second tank crush to get the line goers attention toward 9 o clock. Looks like they gave me a little something after all, namely, another 7 days premium, 1000 gold, and I think another 200000 credits...in other words a second copy of the WoT PC code from the event, minus the T-25 tank...unless maybe someone gifted me another copy of the coupon somehow, or there was a glitch somewhere. Anyone else get this today? The first stop on the Let's Battle Tour is less than a month away! On July 15, we’re teaming up with our buddies at Drive a Tank to host a big bash for Wargamers like you. Cruise in an APC, meet your clanmates, stuff your face with great BBQ, and get in some game time at our 40 game stations! It’s not too late to get in on the action! Plus, 100% of the proceeds from your ticket will be donated to our Project VALOR (Veterans & Loved Ones Responsibility) charity program and divided up between all four participating charities. There's still time to get a ticket for the Drive a Tank event! And don't forget: the Let's Battle Tour is FREE for kids, veterans and active military! 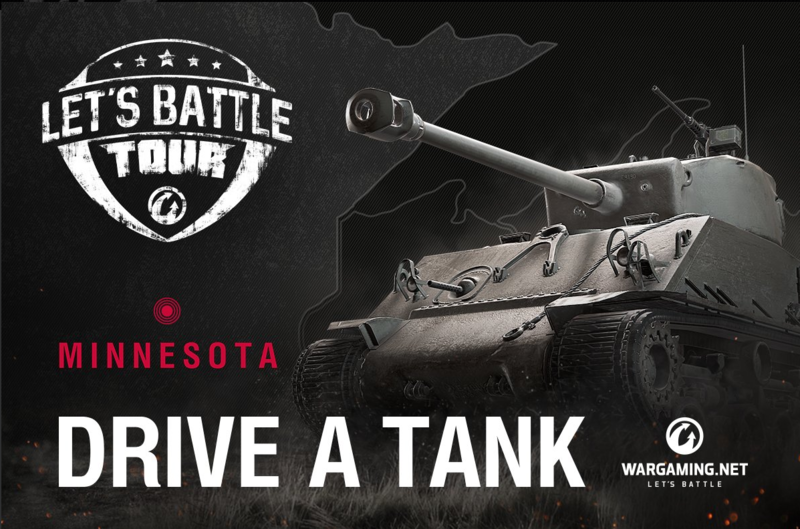 Are you planning to go to the Drive a Tank stop on the Let's Battle Tour? Say hi and find out who else may be going! I got 7 days premium and gold. I would have rather have gotten a code because I can't use it right now. I don't know about credits because i run a lot of premium tanks and I don't hurt for silver.Thanks for throwing premium time at me I can't use right now. A code would have been better. I do appreciate the comp but it would be better when I can use it. Thank You Wargaming at least you made an effort.